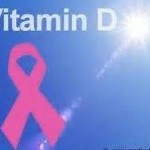 Low Vitamin D levels linked to breast cancer survival rates. A new research study from the University of San Diego has conclusively demonstrated that Vitamin D is correlated with breast cancer survival rates. Professor Cedric Garland from the department of Family and Preventative Medicine indirectly examined 4,443 breast cancer patients by performing a statistical analysis of five studies which followed the patients for nine years. The results refletc that women in the high serum group had an average level of 30 nanograms per milliliter (ng/ml) of 25-hydroxyvitamin D in their blood. The low group averaged 17 ng/ml which corresponds to the average level of breast cancer patients in the United States. A prior analysis by Garland revealed that a serum level of 50 ng/ml is associated with 50 percent lower risk of breast cancer. “The study has implications for including vitamin D as an adjuvant to conventional breast cancer therapy,” said co-author Heather Hofflich, DO, UC San Diego associate professor in the Department of Medicine. 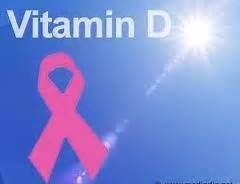 The researchers recommend that physicians add vitamin D to a breast cancer patient’s average daily health regiment. “There is no compelling reason to wait for further studies to incorporate vitamin D supplements into standard care regimens since a safe dose of vitamin D needed to achieve high serum levels above 30 nanograms per milliliter has already been established,” said Garland. ← Major Health Alert: Effexor recalled due to possible contamination.